President Trump hailed a decision by North Korea on Saturday to dismantle a nuclear test site, calling it "a very smart and gracious gesture." 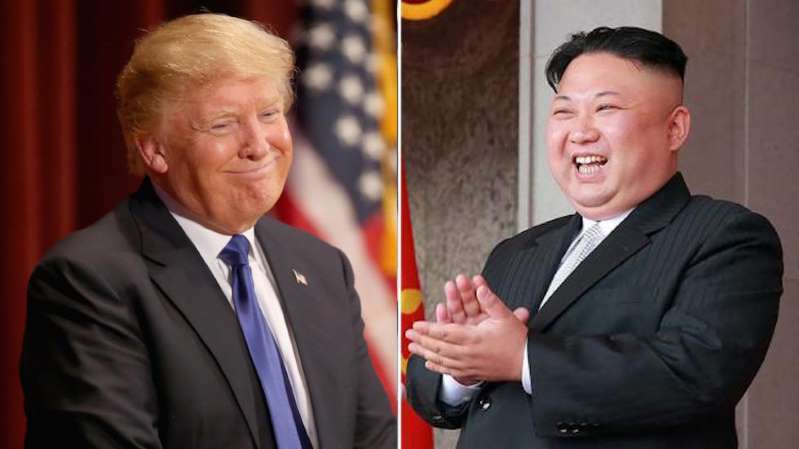 "North Korea has announced that they will dismantle Nuclear Test Site this month, ahead of the big Summit Meeting on June 12th," Trump tweeted. "Thank you, a very smart and gracious gesture!" The president's tweet follows North Korea's announcement that it would dismantle the test site by the end of May, ahead of a planned summit between Trump and the country's leader Kim Jong Un in Singapore on June 12. The historically isolated country also plans to soften air space restrictions and allow more access for foreign media for the destruction of the nuclear site, according to a message carried by North Korean state media. The dismantling is expected to take place between May 23-25, the North Korean foreign ministry said. North Korea first announced last month that it planned to decommission the nuclear site ahead of the meeting with Trump. The move, coupled with North Korea's promise to soften restrictions on foreign journalists, is the latest sign of goodwill from Pyongyang. This week, North Korea released three Americans prisoners during a visit to Pyongyang by newly appointed Secretary of State Mike Pompeo. Trump greeted the prisoners at Joint Base Andrews in Maryland upon their arrival. The meeting between Trump and Kim will be the first such encounter between a sitting U.S. president and a North Korean premier in history. The U.S. is expected to press the North give up its nuclear ambitions - a demand that Kim has reportedly indicated he is open to.